As you know from discussions a few months ago, I'm a fan of the credit-card sized SBCs (Single Board Computers). 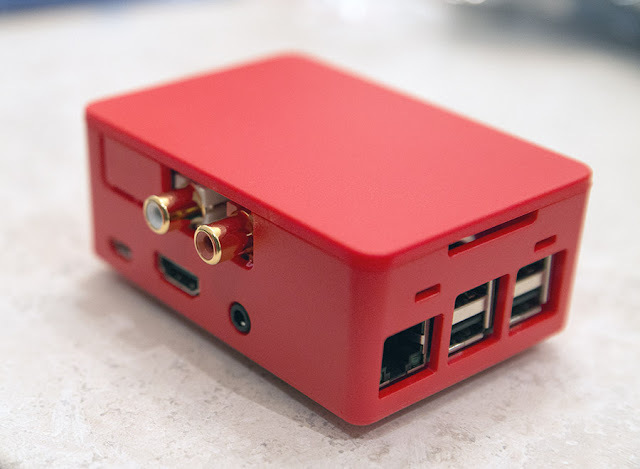 I've already spent time discussing the inexpensive but powerful ODROID-C2 and the setup of this computer as a streamer to my TEAC UD-501 USB DAC using Volumio 2 including the excellent measurements one can get with this combination. 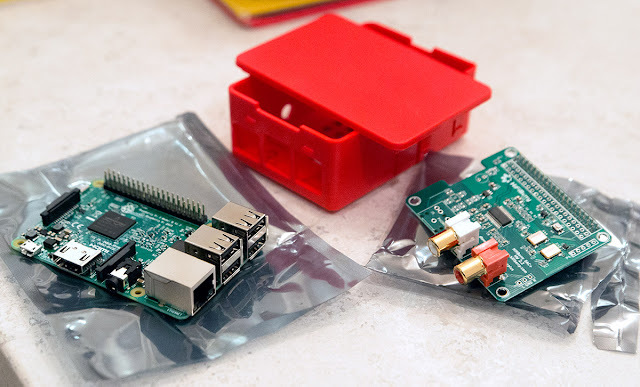 Pi 3 Model B (left), HiFiBerry DAC+ Pro (right) boards. Basically, we have here the hardware for a high-resolution audio streamer with integrated DAC for around the US$110 price point before taxes and shipping. MUSINGS: 4K UHD TV, HFR, 3D, HDR, etc... Thoughts on video technology and the consumer. As you saw a couple weeks back, when in China, I visited a number of electronics stores, especially the "big box" places in Beijing and Guangzhou. Many of these stores had on display a whole floor of 4K TVs made by all kinds of brands (many local China brands like TCL, Hisense, Skyworth, Changhong as well as the usual Samsung, LG, Sharp, Sony, etc...) and one could easily walk around and compare image quality. Of course, this is ultimately a limited comparison because the TVs are all displaying the manufacturer default settings and this usually means extremely bright, color saturated, extreme sharpness, and max'ed out contrast settings playing typically pristine demo videos so as to catch the consumer's gaze. Even though this is primarily an audio blog, I see no need to confine ourselves to just one sensory modality... I've been wanting to upgrade to a 4K TV for awhile, certainly since my 4K computer monitor upgrade early last year. For today, I thought it would be good to think about the world of TVs and where the home visual technologies are leading us. Let's talk about some of the technology around visual quality and the parameters we should be keeping in mind, and perhaps even consider the future and what's down the pipeline. Perhaps most importantly, I like to think as a consumer in the big picture and even speculate a little bit about what might happen down the road. Here's a very cool Steve Hoffman forum thread I came across a few months back which "inspired" this post. I appreciate the iPod. It was quite the gadget back in the day, foreshadowing the rise of touchscreen "gesture" devices. I remember being impressed by the intuitive scroll wheel (introduced in late 2001) which over time transformed to the "touch wheel" by 2002 then the "click wheel" by 2003 and of course "multi-touch" by late 2007 as it joined the family of touch-screen devices. By the time it became the Touch the iPod basically got transformed into an "iPhone Lite". Looking through my box of gadgets, I found my old iPod "Video" 5th Generation (model PA003LL) from back in July 2006 (I know this because I got free engraving on it). It's got a 60GB original hard drive installed. Color screen, 2.5", with 320x240 resolution. Firmware version on this baby is 1.3, presumably the latest version since iTunes didn't ask me to update. It still charges fine but there is noticeable degradation with the battery life. The central button feels a little "sticky" these days after many many hours of use over the years, but still functions well. This is the penultimate hard drive based iPod superseded by the iPod "Classic" (6th Gen) in 2007. It has been said that this 5G and "late 2006" 5.5G models with 80GB HD were perhaps the best sounding on account of these models being the last to use a Wolfson DAC internally. 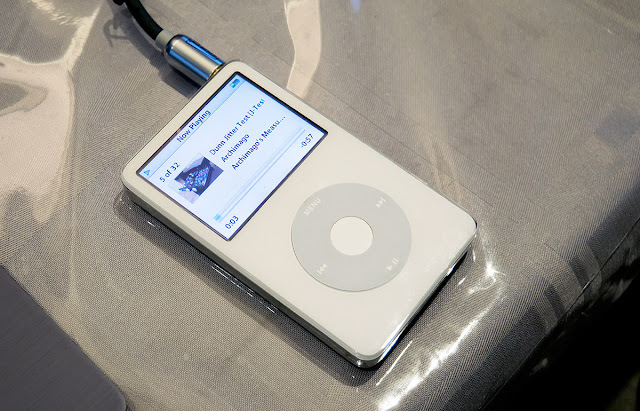 Of interest I think is that Stereophile reviewed and measured an older version of the iPod back in 2003. That was the 3rd Generation they looked at with of course earlier DAC chips. Hey guys, as I've noted over the last while, I've been in Asia over summer. 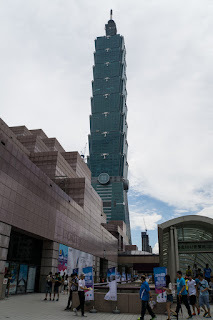 I spent some time in Taiwan, then China, and ended the trip in Vietnam. As usual, when I travel, I keep an eye open on interesting technology sights and sounds, especially what's new and available in the world of audio; if anything. For fun, here are a few pictures and comments from the places I visited that might be interesting from the perspective of a consumer technophile... A "streetside" spectator's view if you will. Not intending to be extensive of course, but a sampling of thoughts over the month overseas.